As business owners, we’re always looking for ways to ensure the prospective customers can find us online. 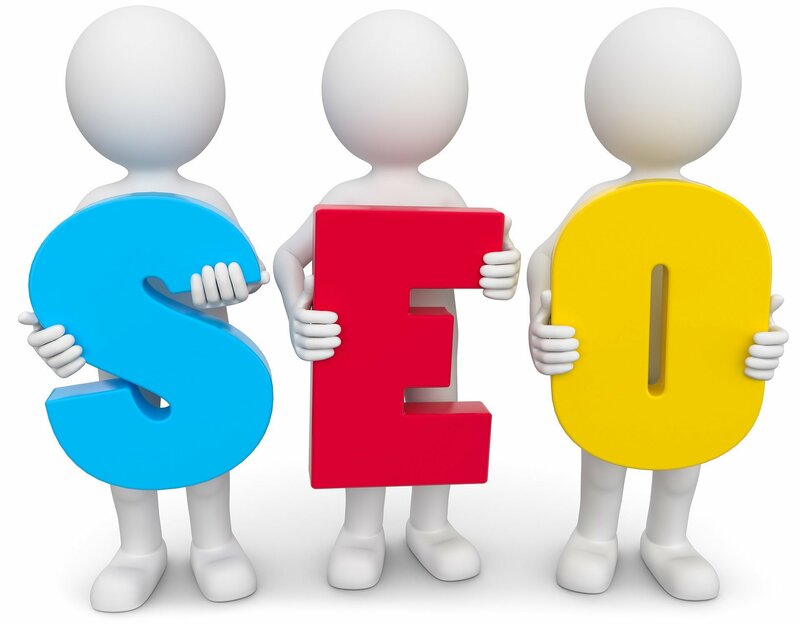 One very important function of being seen is search engine optimization (SEO). So what is search engine optimization? Search engine optimization (SEO) is the process of affecting the online visibility of a website or a web page in a web search engine’s unpaid results often referred to as “natural”, “organic”, or “earned” results. How this happens is a mystery to many and to others, it is symbolic of the pursuit of the Holy Grail. SEMrush just completed their latest study on what is involved in ranking well in search engines and we are pleased to share some of those findings in our latest blog post however you can see full details and charts here. Who is SEMrush? They are a SaaS (Software as a solution) product used by over 1,500,000 marketers worldwide including Ancell Marketing. It helps us better understand website and keyword performance in search engines like Google. Understanding means that we are better able to make important decisions about how to improve our customers’ online presence. Direct website traffic is still the most influential ranking factor. That is, when many users go to a website directly it is a good sign to Google that the domain has high authority and value. User behaviour signals such as time on site, pages per session and bounce rate also influence website rankings, since they indicate website quality and relevance for users. Backlink factors are extremely important for rankings. Except for the factors related to anchor texts, all the backlink factors share 5th place in importance. All the metrics of the backlink portfolio are interconnected and a blind manipulation of only one of them will not increase your rankings, unless you also work on the other metrics. Focus on your natural backlink profle, and try various link-building strategies. All backlink factors impact one another. So your positions are unlikely to change if you boost the values for one factor but ignore others. The HTTPS adoption rate is very high in the high-volume keyword group. That is, the more popular the key words are, the more possible it is that the top positions will be occupied by HTTPS domains. So if you want to compete for high-volume keywords, having an HTTPS version of your site is extremely important. In the low-volume keyword segment, the HTTPS adoption rate is not so high, so having a secure version will significantly distinguish you from the competition. On-page SEO factors such as the presence of keywords in title, meta description and body of the text proved to be significantly less influential than other factors, however the adoption rate is impressive — keyword usage is one of the most popular SEO techniques. success as long as it is valuable, well-written, and optimised, especially if you target high-volume keywords. SEMrush also discovered that long-tail search queries return pages with more content on average than short heads almost 20% more. For instance, an average top-100 article on ‘graphic design’ will be shorter than an average top-100 article on ‘graphic design trends in 2017’. That is, if you are writing on a broader topic, your users do not expect a long read. If your article’s topic is narrowed down to a precise statement, then it should provide a more in-depth view. Over 75% of the top-20 pages have keywords in their body and over 60% have them in their title. While it seems to be a common practice, the data proves that it doesn’t have a strong impact on rankings. One time-proven approach in SEO is using longer keywords for promotion, as they usually bring more relevant traffc to a website. If this is your case and you plan to rank for long-tails, having an exact-match keyword in your on-page SEO elements is not necessary. In fact, it is more important to diversify the semantic core of your text and make it relevant to the target keyword rather than copying it. The presence of a video didn’t show a significant influence on page rankings, so we came to the conclusion that video itself is not a silver bullet. However, in certain niches clients expect video content, so it makes sense to provide it. Consider your audience’s demands, and if they include visual support, include a video. One of the main indicators of a website’s popularity is its number of visits. There are a lot of ways for visitors to find your website: organic search, paid ads, social networks, direct visits, referring domains, emails, etc. After excluding organic search and other traffic data, there is a strong connection between the number of direct visits and the page position on the SERP. This could indicate that Google prioritizes domains with more authority and consequently more direct traffic when ranking the high-volume keyword group. This also means that organic ranking is not the only thing you should be concentrating on. Direct visits are fuelled by your brand awareness, so building a strong brand image should be an essential part of your promotion strategy. It is clear that high-ranking pages have lower bounce rates. This could be the result of the level of trust that users have for top-ranking pages, or it could mean that the lower-ranking pages are less relevant. And though Google reps declare that all user behaviour signals are too noisy to be considered during the page qualification, a high bounce rate could indicate that the page content is irrelevant, which is bad for both users and search engine bots. These results indicate that users tend to spend more time on websites that rank higher in SERPs. This could be explained by the same fact: users trust top-ranking pages more than lower-ranking ones. Just like the bounce rate and time on site trends, these results confirm that users tend to visit more pages on websites that are in the top of organic search results. In summary, there are key factors that you need to pay attention to when considering your website ranking in Google. These include website traffic, behaviour signals, backlinks, branded keywords, HTTPS and on page optimization. To find our more about how search engine optimization can work for your business or for a health check of your website’s SEO friendliness, contact us today.